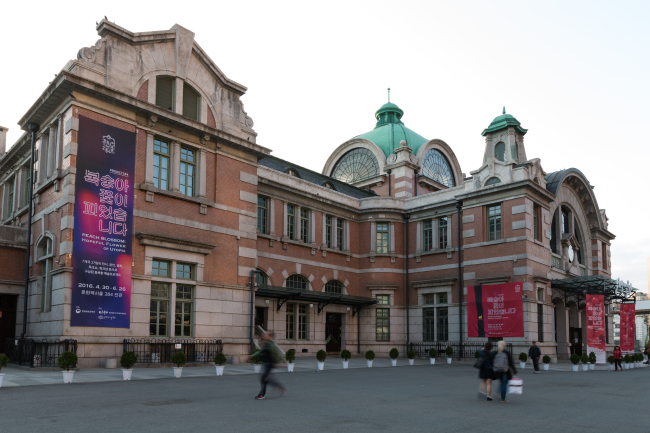 The former Seoul Station building, Culture Station Seoul 284, is hosting a multi-arts festival that might prompt passengers to stop by briefly, or stay longer before catching their trains. The arts show “Peach Blossom: Hopeful Flower of Utopia,” organized by the Korea Craft and Design Foundation and the Ministry of Culture, Sports and Tourism, brings together 27 individual artists and teams from seven countries to present interactive arts project that attempt to “stimulate the six senses of visitors,” according to artistic director Shin Su-jin. The Culture Station Seoul 284, a Western-style building from the Japanese colonial era, was reopened in 2011 as an art space for diverse arts projects ranging from contemporary dance, theater performances and music to visual arts and films. 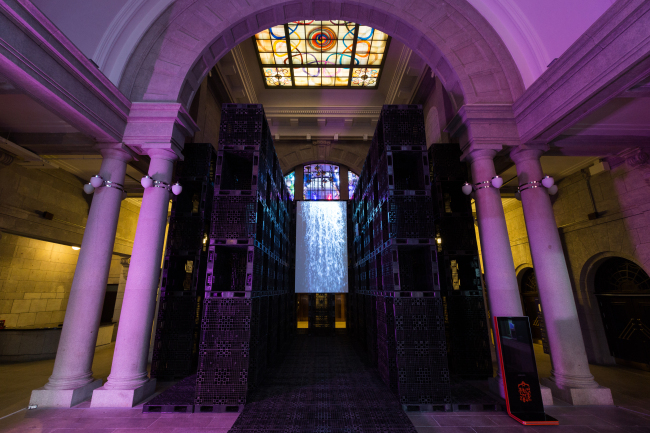 The festival displays site-specific installations divided into four sections that explore innovative forms of art such as sound, interactive media and video in the old lobby and at the waiting rooms and the stationmaster’s room. At the entrance, architect Kook Hyoung-gul built a vertical labyrinth using shipping plastic pallets that viewers can navigate through to find an image of waterfalls by artist Lee Hee-won. 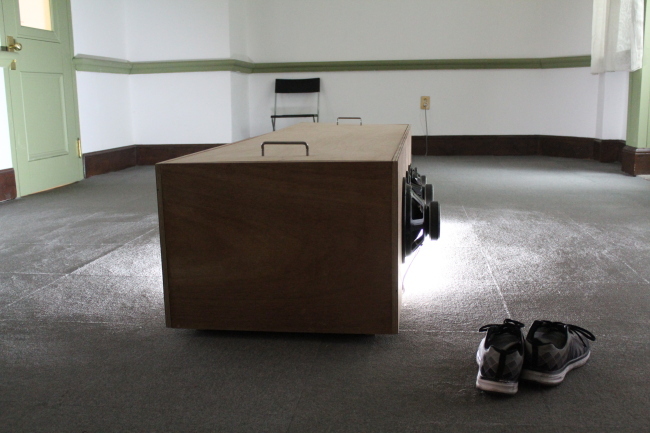 In the former stationmaster’s room, Kim Joon has installed a wooden casket in which viewers can lie down to listen to the sound of Buddhist percussion and prayers, as well as sounds captured at churches. The sound can be heard from outside the coffin but viewers who want to experience the strange feeling of lying down inside a casket can also try it, even if staffers on site don’t give instructions on how the artist intended the work to be enjoyed. 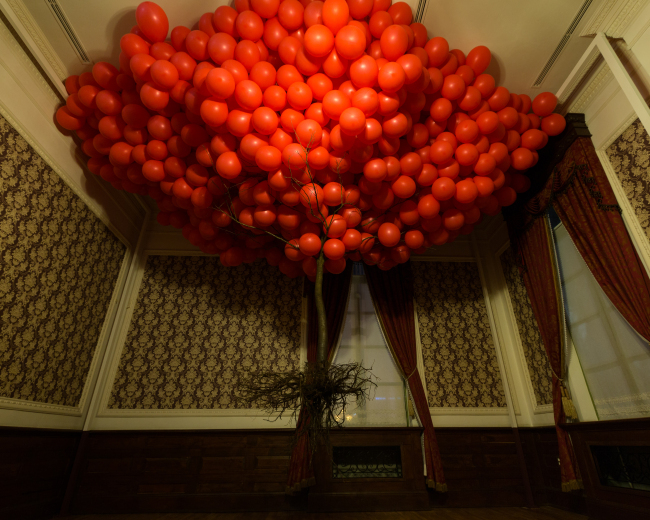 In the old VIP lounge is a tree with roots hanging from the ceiling that appear to be supported by a bunch of floating red balloons. Artist Kim Myeong-beom made the installation a popular photo spot that attracts viewers with cameras and cellphones. The art project at the former train station invites visitors to participate in various theater, dance and music performances presented by international musicians and artists. 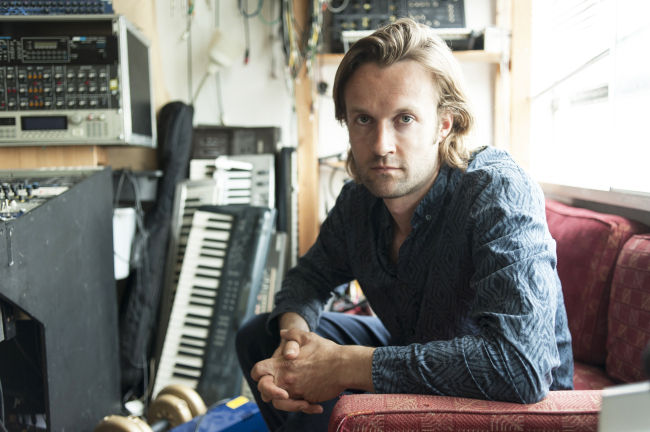 London-based composer Gabriel Prokofiev presents a unique classical music-meets-electronica concert at 2 p.m. on May 14. The grandson of the 20th century Russian composer Sergei Prokofiev is known for the mix of classical music with popular music genres of hip-hop, electronic and dance produced under his independent record label Nonclassical. Spanish performer Marisa Silbatriz Pons offers a whistle performance, through which she attempts to transform her childhood habit of whistle-blowing into an artistic performance, at 2 p.m. on May 28. Another music performance will involve Korean-American experimental musician Bora Yoon. Yoon, known for her avant-garde contemporary music using the sounds made by cellphone buttons, will hold a contemporary music concert “Phonation” at 8 p.m. on June 17. The third floor of the Culture Station 284 has been turned into a theater, screening a total of 38 movies recommended by Korean and French cultural figures, ranging from artists, fashion designers, actors and filmmakers to movie critics and psychiatrists. French artist Orlan, known for the plastic surgery she underwent to imitate figures of conventional beauty in Western art such as Mona Lisa by Leonardo da Vinci and Venus in “The Birth of Venus” by Sandro Botticelli, recommended three satirical comedy films “Modern Times,” “Idiocracy” and “Playtime.” They will be showing in June. For more information on schedules, visit www.seoul284.org.